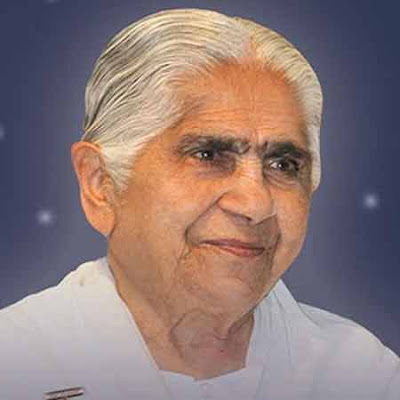 Following are the quotes, quips and inspirational words of Dadi Janki of Brahmakumaris. The one who is full of love is always happy. When we are full of love for everyone, there is no space for negativity. This unselfish love means that we have only positive thoughts and experience constant happiness. To see things as they are is to be free from negativity. We tend to color what we see according to our past experiences and our attitudes and beliefs. When our experiences of the past are negative, we tend to become negative too. This is why some situations tend to bring about sorrow and unhappy feelings. What gives this kind of stability? You must have seen a tower – to reach so high, it has a deep foundation. You need to become introverted, to do deep inside, and make yourself so strong that even if the whole world fluctuates, you remain stable. This power comes from within, from your inner being. When your motives are pure and positive, and based on love and truth, there will be this power of peace. Truth means much more than information which we may think, speak, read or write about. It means the power to remain silent and peaceful. Not even to think. Not to listen to a great deal, but to keep the essence of your being, your human qualities, in your intellect and awareness. To merge everything else that happens inside or outside, as an ocean absorbs rivers, so that here is calm. Why Bhagavad Gita advises not to revel in sense pleasures?